They'll make June feel like December. Summers might be a couple of months away for the rest of the world but if you’re anywhere in the Middle East — you know better than to distinguish between the two. And now that the temperature has started soaring high, all we scream is ICE CREAM. But before you feel the heavenly freeze of your favourite scoop, just take a look at the calories, fat and sugar in one serving — seems a little less sweet and enticing, doesn’t it? 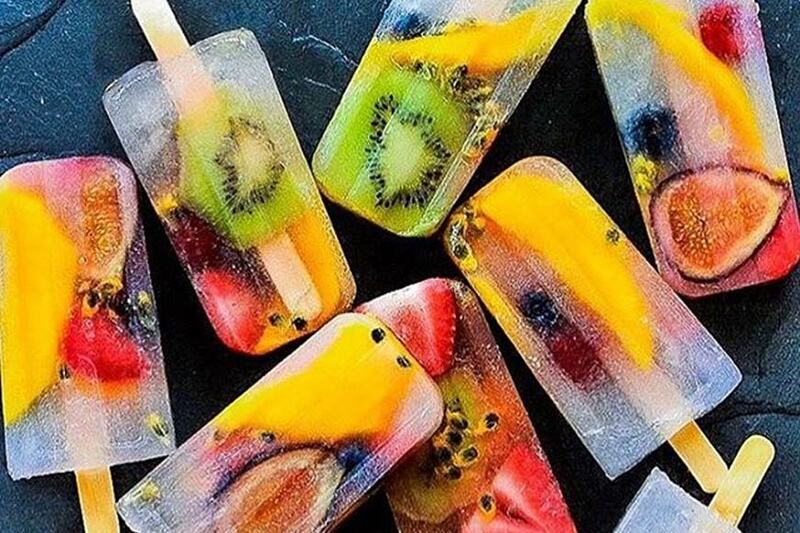 Instead of a scoop of calorie-laden ice cream, why not serve the kids (and yourself) a fresh, fruit-filled popsicle? These gorgeous looking treats are easy to make and have no unnecessary sugar rush. Just chop up whatever mix of fruit you like, place fruits into popsicle tray, add in some juice of your choice and freeze. Delish! The best part? No late night guilt attacks. Scroll down to see which one is your favourite. 1. 7 layer rainbow popsicles - who needs unicorn anymore? 3. Coconut lime popsicles to rock your taste buds. 4. Mango with kiwi and strawberry - causes mangoes are IN. 5. Berry + Lime = where's the beach?